Valentine's Day is quickly approaching. Do you know what you are sending to your kids' classrooms? Personalized cards with their photo are always a blast! 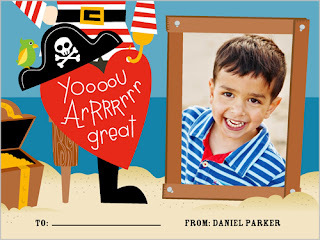 The kids love giving their friends a special card with their photo, and they are so easy to make (and so much more unique than what you can purchase at the store). We love using Shutterfly for our cards! Having a hard time deciding where to get started? 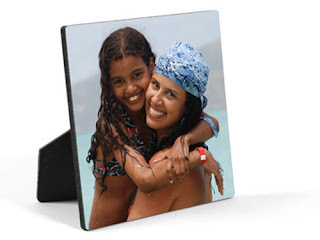 Shutterfly has provided some GREAT examples on their blog! The cards come in so many varieties, you are sure to find something that will fit your needs. In 5 different sizes (6 x 8, 4 x 8, 5 x 7, 5 x 5, and 4 x 5) and 50 different styles including some wonderful classroom designs, your kids will have a blast choosing and creating their own cards this year! Want to win your own set of classroom cards and desk plaque? Enter below! The photo mugs! Who wouldn't like a hot beverage and to look at a cute picture? The travel mugs! I want one! I would love one of the Photo Cases!! Love the personalized blankets. Perfect for grandparents! I like the iPhone photo cases! I love the iphone cases! Ooh... I love the photo water bottle! Love the chalkboard frame i phone case! Thanks! iPhone cases are really cute! I like the Woven Photo Blanket and the Acrylic Photo Block. kristiedonelson(at)gmail(dot)com Thank you. I like the woven blanket. I like the Canvas Prints. I like the mugs and mousepads! I'd love to get a personalized iPhone case! I like the water bottle! I love the canvas print! I really love the style of the desk plaque. Thanks! I would love a desktop plaque! I like the kitchen apron the most. I like the photo canvas. I really love to give the Photo Books as gifts to the Grandparents, but I know my Mother-in-Law would really love the iPhone case too! I think the iPhone case is a great idea. i love thier photo mugs and throw blankets! I love the Acrylic Photo Block! I love the Wall Calendars. I love the canvas photo! It's super cool! The photo books are my favorite, I have made many and given them as gifts. I love the photo books! We love making them!